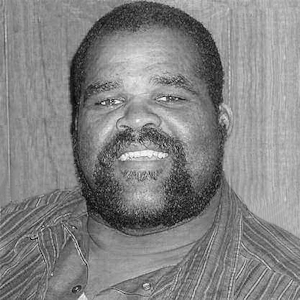 Obituary – Moses, Clyde Fredrick « Perry High School Alumni Association, Inc. 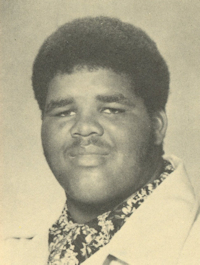 The memorial service for Clyde “Big Fred” Moses, 51, of Perry, will be 2 p.m. Saturday, April 10, 2010, at Perry High School auditorium. Pastor Cleo McGlory will officiate. Arrangements are by Brown-Dugger Funeral Home, Perry. He was born March 6, 1959, in Stillwater to Lamar and Irene Priest Moses and died Thursday, April 1, 2010, in Perry. He was a 1976 graduate of Perry High School. He attended Northern Oklahoma College, Central State University, the University of Oklahoma and received his associates degree from the College of Miami. He retired from Ditch Witch in 2002. He was a member of New Prospect Baptist Church. Surviving are his mother, Irene Moses; 10 brothers, Abraham Linzy, Lamar Moses Jr. and Alrow Moses, both of Oklahoma City, Delbert Moses, Luddie Moses, Froghorn Moses, Edward Moses, Zachary Moses and Matt Brown, all of Perry, and Lewis Moses of Stillwater; and four sisters, Sylvia Atkinson and Vanessa Moses, both of Perry, and Maggie Moses and Martha Moses, both of Oklahoma City. Memorials may be made through the funeral home, 1010 N. 7th Street, Perry, OK 73077, to Perry High School Athletic Department.